You can read all about the Vikings and our history, how we got here and what adventures we have been on. 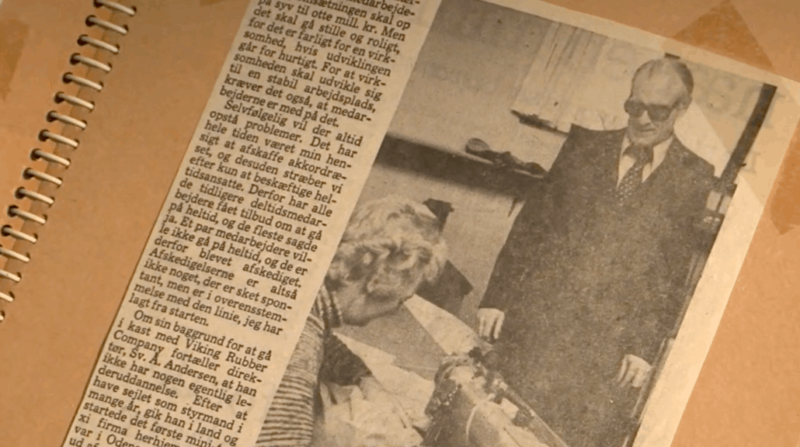 It’s a story, that goes back to 1902, where Frederik Arthur and Anna Kristine’s son, Aage Holger Rasmussen, is born at the grocery store in Asnæs Stationsby. Aage Holger gets a little brother in 1908, named Hans Frederik Ejnar Rasmussen. You get the story of how the hard work of these two brothers becomes an international company known for high quality workwear, here…. The two brothers grows up in Asnæs Stationsby, where they are taught by their father, who works as a Commis. A good business sense appeared early, but unfortunately the brothers had no interest for canned goods and food. The brothers saw their change to create something new and change the world through the new rubberized textile that emerged in the 1930s. Therefore the brothers entered into an agreement in January 1935 to create a business together – and then they were running. It was not just any business they wanted to create. Especially Aage Holger realized that their reputation had to bee good, and therefore the quality had to be the best. At the same time both brothers had an interest in the Vikings, which also at that time were signs of strength, wildness and adventure. 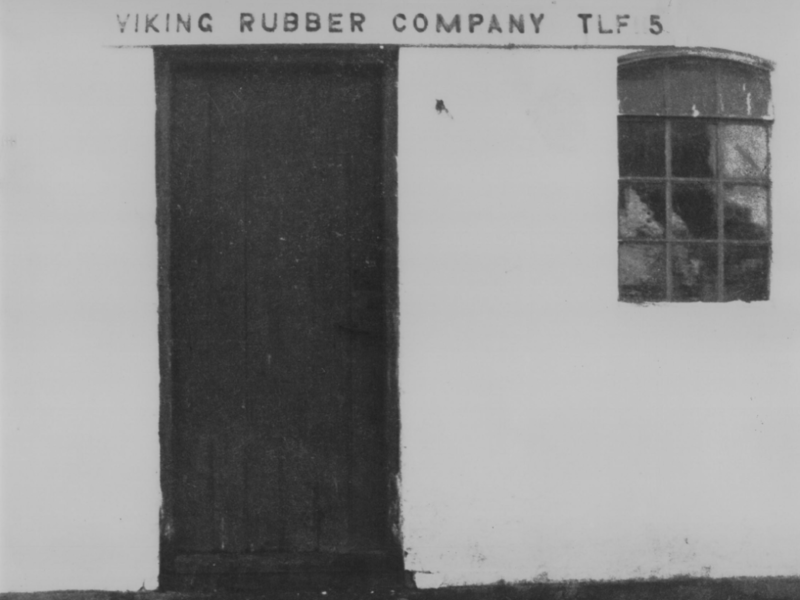 There were therefore no doubt about the company’s name: Viking Rubber Company. With this in place the brothers went to the police chief in Holbæk and was registered in the Commercial Register on the 10th of April 1935. The skilled merchant sons quickly found out that quality could pay off. Aage Holger and Hans Frederik conducted the company in the best way and the small workwear factory grew out of its original buildings. Aage Holger moved Viking Rubber Company to Charlottenlund, where the possibilities for production were greater, while Hans Frederik stayed with the family og partially signed out of the company. The move resulted in recruitment of both seamstresses and office assistants, and the company had at this point around 25 employees. On Kigkurren 6-8 the company experienced several thefts. Whether the thieves were looking for quality rainwear or money are not known. The company had moved around a lot within the Copenhagen area, when Aage Holger decided to buy his brother out of the company. Aage Holger then moved the company to an area with a strong tradition of fishing: Faaborg on Sydfyn. Here Aage Holger worked in the company until he died in 1972, after which widow Rasmussen and their son took over the company. He meant theese words, so Svend Aage bought the company and took over in 1976. A succession was completed – Kurt became CEO, and Svend Aage and Aase went travelling. Although Kurt was only 23 years old, he worked hard and changed the company’s conditions, by for instance entering the market for breathable products. Only 5 years after the acquisition Kurt expanded – both the business and the family, when his son, Alexander Mygind Andersen, was born. The production in Denmark went great and with a fixed team of around 40 skilled Vikings, the sails were set for growth. Already in 1991 Kurt began to outsource the production. This was moved to Poland, where Viking Rubber Co. got a partner for life. By 1993 all productions for customers in Denmark, England and Germany were produced in Poland. In the mid-1980s Kurt went on a busineestrip in Denmark promoting a new product. He managed to sell a few pieces, but after 14 days the orders only made up to 20 jackets – all in size L or XL, as the dealers themselves could fit these in case of missing sales. Kurt was not satisfied, so he took his suitcase and went to Germany. The first retailer Kurt met in Hamburg bought 100 jackets right away. Since then, Germany has been the largest market for Viking Rubber Co. – and the very first retailer, Sattelmacher, is still one of our partners today. 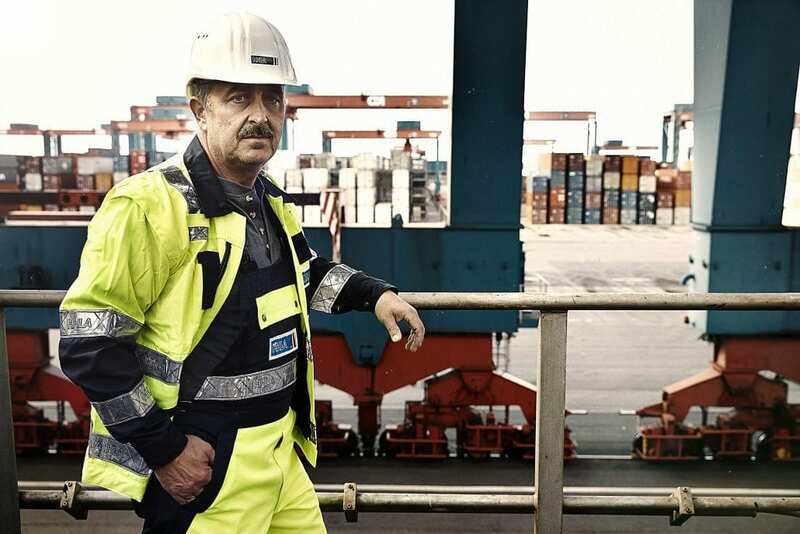 In the mid-1990s the development of workwear for the port-industry began in Hamburg port. The companies HHLA and Eurogate sought quality clothing – and that they got under the motto “Specific Workwear for Specific Work”! The work, that were carried out in the port-industry, were very diverse, and the workwear, which had to be both top-safe, smart, have the necessary pockets and have a good fit, was tested to the utmost. Viking Rubber Co. has followed the development of the industry requirements and is currently a specialist in workwear for use at ports and other terminals. The times had changed, and it was necessary to move the production out of Europe. Kurt wanted Viking Rubber Co. to be able to produce cheaper than it was possible in Europe, but without producing in poor conditions. Vietnam is a country with a strong tradition for production of clothing and with a good eye for quality. Therefore Kurt saw the opportunity for Viking Rubber Co., to kill two birds with one stone; We could make a difference for our fellow human beings while being able to produce cheaper than the competitors. Therefore Kurt decided in 1999, as the first Danish textile company and as one of the first European companies, to move the production to Vietnam. This was a success, and in 2004 Viking Rubber Co. started own production in Ho Chi Minh City under the name Viking Vietnam Ltd.
After the first two years of independent production in Vietnam it was necessary to move to larger premises. Already in 2008 it was necessary to expand the production again. This time the production was moved to a premises of 6,000 square meters. With this move it was now possible for the Vikings in Vietnam to keep up with any demand. 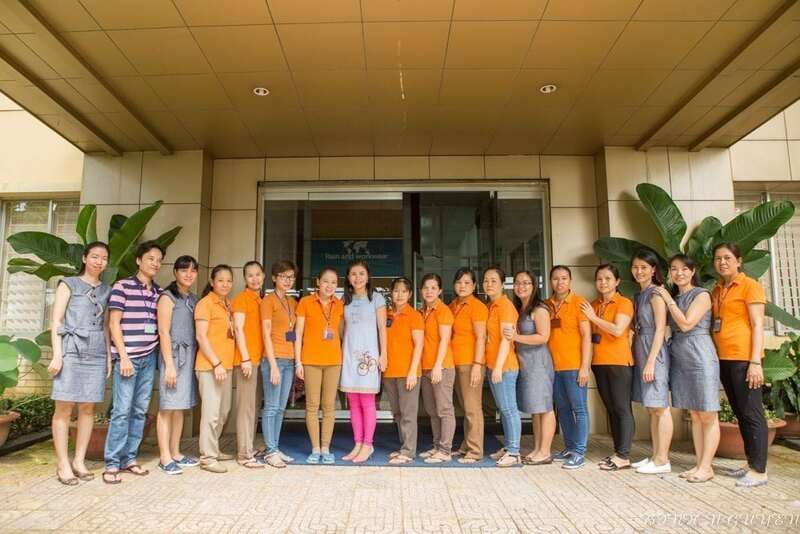 In addition to our own production our Vietnamese subsidiary produces hunting- and leisure clothing for other companies. Like the two brothers, Aage Holger and Hans Frederik, Kurt knew from the start, that quality can pay off. Quality has therefore always been a focus area for Viking Rubber Co.’s production. Viking Vietnam Ltd. became ISO 9001 certified in 2010, proving to the outside world that the quality was strong and uniform. The factory in Vietnam was ahead of it’s time right from the start. It was important for Kurt, that the employees on the factory had proper working conditions, so their lives were better than previous generations. In 2013 Viking Vietnam Ltd. became SA 8000 certified, which showed the outside world, that production in Vietnam does not have to be done under bad conditions. Kurt realized that there were many aspects in creating a better life for the factory’s employees. It was not only the conditions at the factory itself, but also taking care of the factory’s immediate environment. An environmental policy, that focused on limiting the factory’s negative impact on the local community, was therefore drawn up. This work resulted in a ISO 14001 certification of Viking Vietnam Ltd. in 2016.